Even though we had all the warnings about significant snowfalls this week, as Vancouverites we carry on in our merry way because we’ve had false hopes before. Our city trucks are filled with salt, we load up on groceries for snowmaggedon, and nothing much happens. We get a few flakes. But this time, when the snow actually fell, it wasn’t so funny anymore. 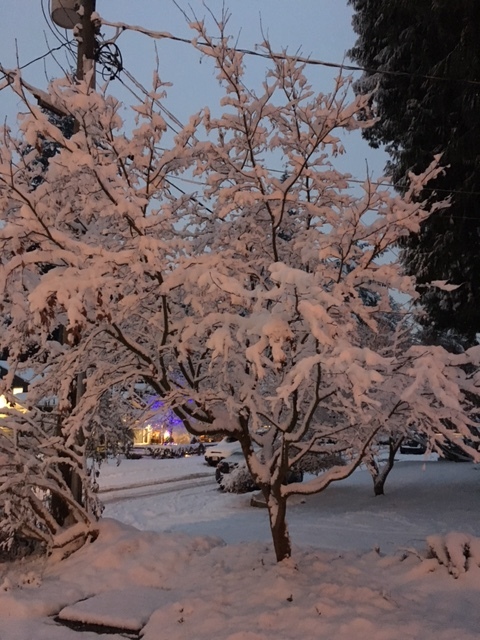 We started last school week with a Professional Day on Monday, a snowy drive and the good news that UBC was still open so my daughter was among the fortunate university students to write her exams as scheduled. Our kids might be older but we still worry about them. The price we pay for parenthood. Mine and Christy’s biggest concern was that we not have a snow day on Tuesday or Wednesday, as we were well into rehearsing and performing for our Christmas Concert. 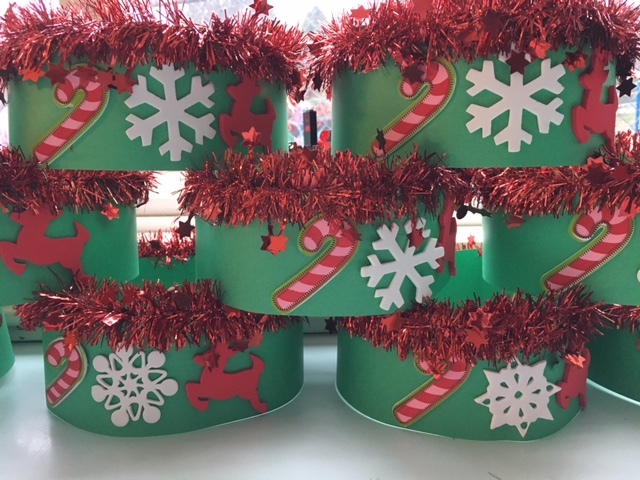 Our children had practised on stage, they had their Christmas best clothing organised, they looked adorable with candy cane/reindeer/snowflake crowns and if we did not perform on time, we would miss their “peak,” or when they were performing at their best. But the snow held off long enough (till Friday, anyways) for us to have a run through and perform three times in 36 hours, surely a new record. We had made explicit with our classes that we would notice if all of the self-regulation practise of the various strategies we’ve been teaching in class were working for them, or not. As we made the procession from our classroom, pausing at the stairs, the hallway outside the Grade 7 classrooms, and in the boys’ changeroom before we entered the gym, we used our deep breathing and our calming countdown strategies. Many children made eye contact with us as we led our classes in breathing (on the stairs, in the hallways, in the changeroom) so we were calm, focused and ready to perform. And as always, our self-regulation practise paid off. We sparkled and glittered at the perfect moments! Special thanks goes to Mrs. Soderling, our new Music Teacher, for teaching our children and producing this year’s Concert.